Our Ho Chi Minh City shop and tea house is in the heart of District 1 at 52 Le Thanh Ton. It is close to the junction of Le Thanh Ton and Hai Ba Trung and within ten minutes walking (if you can handle the heat and the traffic) from the Opera House, Notre Dame Cathedral and a number of the majo city centre hotels (Intercontinental, Park Hyatt, Sheraton, Caravelle and Hotel Continental. The shop serves as a showroom, tea room and coffee shop where you can sit to enjoy any of our teas (and also our own roast local Arabica and Robusta coffees if you prefer). Our tea tasting studio is situated at the rear of the shop and is used mainly for tea tasting sessions. 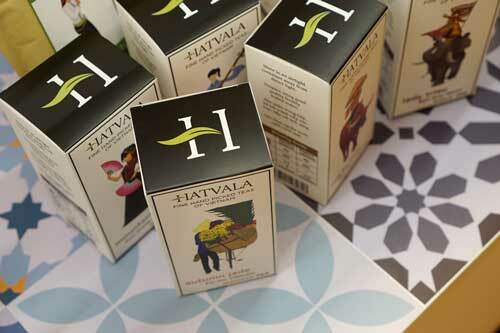 If you would like to book a tea tasting session please book in advance either using the contact form or by email to info@hatvala.com. We also organise a monthly free open day event (usually on a Sunday afternoon) in the tea studio where you can come to learn more about teas from Vietnam. They really are very good. Check our website or Facebook page for details.